Category: Charity work, creative sessions, Event Photography, Pin Up Sessions, special promotions, what's going on this month? The idea of creating a pin up calendar in the Comox Valley, and using the proceeds to fund local charities that work towards building up young girls’ self-esteem and self-image has been rolling around in my head since I started Gaia Magick over 3 years ago. With 3 young daughters, 2 of which are now entering their teen years, this is a project that is very near to my heart. I estimate this project will take about 4-6 months to complete, depending on how quickly gorgeous woman like yourself volunteer to have their Pin Up images included in the calendar. I’d love to have the calendar designed, printed, and selling in time for Christmas 2015, but Valentine’s Day 2016 isn’t a bad goal either. You can help make this project a reality in a number of ways. You can volunteer to have your past Pin Up images (photographed by Gaia Magick Photography) included in the calendar; you just have to sign a new model release. 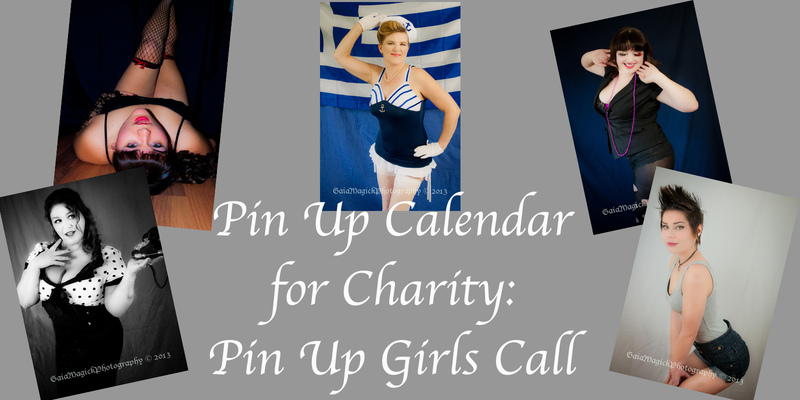 You can sign up for a Complimentary Pin Up shoot for the purpose of the calendar project: you receive the session, a print credit of $50, and one copy of the calendar once it is printed. Or you can spread the word about this project by sharing this blog posts with your friends, family, co-workers, or friendly strangers! I’m currently researching programs and groups in the Comox Valley that help to build healthy self-esteem and image in young girls. The one group I had in mind a year ago seems to not be running anymore. If you know of a groups or programs please contact me in any of the methods listed below. I’d love your help. Are you interested in being a Pin Up girl? Ever wanted to have your picture on a calendar? Are you ready to have some bold gorgeous fun while helping young girls to feel more confident about themselves? Do you need a little more information about the calendar campaign, please contact me. I’d love to chat with you! Hi Katherine! It’s very nice to hear from you. I’m so excited that you want to help with my pin up calendar project. Are you interested in having another pin up session or would you like to sign a release for your Greek pin up images from last time, or both?! I will get in touch with you soon, would you prefer me to email or phone you? Can’t wait to work with you!